Our There are a lot of great digital pianos out there. Unfortunately, not all of them are created equal. In order to help you find the best digital piano (or best electronic keyboard as the case may be) this site will outline the top ten recommended digital pianos, the types of electric pianos and keyboards that are available, buying tips and important things to consider, and reviews of the digital pianos and keyboards that we found to be of particularly high quality for the price. All of these things are what we’ve decided are the most important tools and information that we can give you to help you choose the best digital piano for your needs and budget. If you have the time, be sure and take a look at all of it, but if you’re in a hurry and just want a good place to narrow down your search, refer to the Top Ten Recommended Digital Pianos. These instruments truly are some of the best electric pianos available today, and are an excellent place to start your consideration of which piano to buy. For more in depth research, check out the individual reviews and the buying tips that we have put together. If done right, finding the best digital piano or keyboard can be almost as enjoyable as playing it. We hope you will enjoy the process. A digital piano, like its traditional counterpart, is comprised of eighty-eight keys and is capable of playing any piece of music that an acoustic piano can. The defining characteristic of any digital piano, however, is the fact that the tone it produces when a key is struck has been prerecorded. Digital pianos come with a wide variety of prerecorded tones (most digital pianos boast well over 100 instruments to switch between) and are known for helpful features such as a headphone jack, external speakers, amp and computer connection ports, and, on some models, adjustable touch response. All said, a digital piano is the less expensive, more portable, and more versatile cousin of the acoustic piano. What is a Digital Keyboard? To put it simply, a digital keyboard is an instrument that is lacking some significant detail that keeps it from being classified as a piano. Often, the most common difference found on digital keyboards is the fact that they have less than eighty-eight keys. This is usually done to increase the portability of the instrument. Other differences that may lead to an instrument being classified as a keyboard is the fact that the keys may have no touch response (resistance) or it may not be capable of producing sounds that are similar enough to the sounds of an acoustic piano to let it to bear the name “piano”. Already, we’ve covered a few of the more crucial differences between a digital keyboard and a digital piano, but comparing and contrasting the two is something that deserves a closer look. Despite all of the features of a digital piano, one of the primary goals of the instrument is to retain the feel and sound of an acoustic piano. The touch resistance, sound, and capabilities of a good digital piano should be extremely comparable to those of an acoustic piano. With digital keyboards, this isn’t necessarily the case. Keyboards are often made to be cheaper, more portable, and more focused on the ability to produce sounds than to perform the function of a high quality instrument. That’s not to say that there aren’t some great digital keyboards out there too, and they certainly serve their purpose well, but if you’re wanting to purchase an instrument to learn how to actually play the piano on, or if you’re already used to an acoustic piano and are wanting a smooth transition into the benefits that going digital offers, the digital piano is by far the better choice. Why Choose a Digital Piano vs. Acoustic Piano? The advantages of a digital piano over an acoustic one are hard to overlook. For one, digital pianos can be incredibly more portable and easier to fit into a cramped space. Sure, there’s digital pianos out there as large as any acoustic piano, but there’s also much smaller ones. The fact that digital pianos aren’t forced to house eighty-eight strings and hammers ensures that they can be made much smaller and lighter than is possible with an acoustic piano. The second advantage is the versatility and variety of features that a digital piano offers. If you’re a person that enjoys all the bells and whistles, then the digital piano is for you. Features such as a wide variety of sounds, the ability to connect to amps and computers, external speakers, memory cards, headphone jacks, and a host of others, depending on the instrument, makes the digital piano capable of far more applications than an acoustic piano is. Lastly, digital pianos generally cost less, making them great for someone who isn’t yet dedicated enough to drop several thousand dollars on an instrument. All said, these advantages have led many people, experienced musicians and beginners alike, to choose a digital piano over an acoustic one. So much so, in fact, that over the years, the digital piano has quickly become the more popular of the two. Besides just the electronic keyboard and electronic piano, there are several other important subclasses that need to be considered. Deciding which of these subclasses would best fit your needs is a great place to start in deciding which instrument would work best for you. This instrument is the one that is closest in design, function, and appearance to a traditional, acoustic piano. It has eighty-eight keys and includes a cabinet and some form of support. Its appearance is what most likely comes to mind when you think of a piano, and it is the most popular digital piano design. Very similar to the upright digital piano, the primary distinguishing characteristic of the digital piano console is that it is smaller and may not have the same, classic shape. Regarding function, however, a console is equally as capable as an upright piano, making it a great choice for someone who is lacking the space for a full-sized piano. This one is pretty self-explanatory. Stage pianos are capable of being hooked up to amps, and external speakers, and a variety of other electronic accessories that are geared towards a live performance. If you’re putting on a show, and you want to make it a spectacle, a stage piano is the best choice. This instrument is the most portable and generally least expensive of the types. 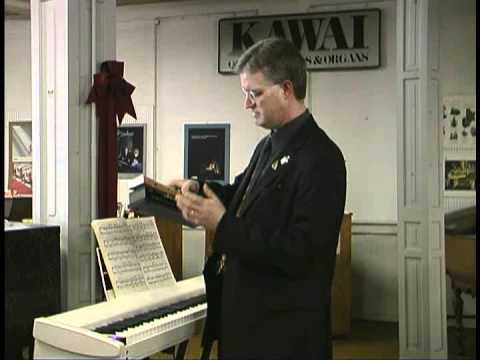 While the fact that most keyboards have less than eighty-eight keys (ranging from sixty-one to the traditional eighty-eight depending on the model) may keep you from playing some songs, the ability to carry the instrument under your arm and pay for it without taking out a loan are certainly attractive features of the digital keyboard. This instrument falls under the class of a keyboard and is used primarily for music production. Synthesizers are capable of producing a large variety of sounds and are made to connect to a computer. If you’re looking to mix and produce songs rather than playing them, then a synthesizer is a great choice. Like a synthesizer, a controller keyboard is intended for music production. The primary difference between the two is that a controller keyboard is not capable of producing sound unless it is hooked up to a computer, and it usually has less sound options to choose from. However, MIDI controller keyboards are also less expensive than synthesizers. What are the different sizes of digital pianos? When talking about sizes, we refer to the number of keys available. There are 3 main sizes that you will see with digital keyboards – ones with 61 keys, 76 keys, or 88 keys. An 88 key digital piano will most closely resemble a traditional acoustic piano, as the standard size is 88 keys. To understand the differences between all three before making a decision, read our guide to digital piano sizes. Which digital piano you should buy is a question that is best answered by answering a few other, more fundamental questions. How much space do you have? Are you just wanting to play the instrument or are you interested in music production? How much are you willing to spend? 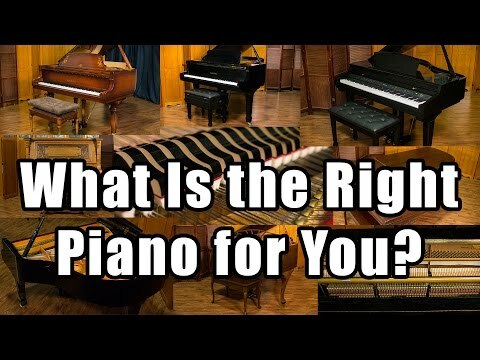 After you’ve considered these things, be sure to take a look at my digital piano buyer’s guide for more info on the decision, and check out reviews of a few specific models to get a better feel for what they have to offer. With a little consideration and research, purchasing a digital piano that will perfectly suit your needs is not nearly as hard as it sounds. On this site, you’ll have the opportunity to read through many reviews of some great pianos. When you do, it should be noted that none of these reviews are done as a paid endorsement for any particular piano. This site is a labor of love and a way to give back to the musical community. Though there are some affiliate links on the site to help me pay for hosting and to motivate me to add new reviews on consistent basis. All reviews found here are entirely unbiased, and though only the highest quality digital pianos are chosen to be reviewed, pros and cons of each will be pointed out. The goal of this site and the reviews found here are to help you make the best possible decision when purchasing a digital piano. This is a goal that is only accomplished through honest, unbiased, and educated reviews. Since their invention, digital pianos have revolutionized an already wonderful instrument, turning it into something even more capable and brilliant than it has always been. As such, digital pianos are the passion of this site, and hopefully this passion will be contagious. Take a look around. Think of this website like your favorite instrument store. Hopefully you’ll leave it having gained helpful knowledge on a variety of digital pianos and a deeper appreciation for the instrument as well. And as always, play on!